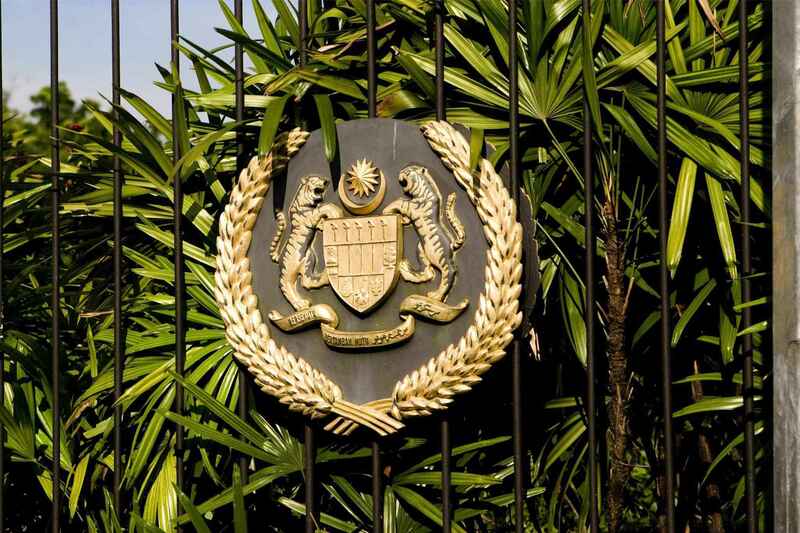 Another royal residence of the Yang di-Pertuan Agong is Istana Melawati in Putrajaya and a replacement palace is to be built on Jalan Duta in Kuala Lumpur. The building is nestled within a 11.34-hectare compound with a variety of plants and flowers, swimming pool and indoor badminton hall. As the palace grounds are not opened to members of the public or tourists, the Main Palace Entrance is a favourite picture spot for tourists. The whole area is fenced up and the Royal Insignia of His Majesty is placed on each steel bar between two pillars of the fence. At the front of the Istana Negara, there is the main entrance which resembles an arch. On each side of the arch, are two guard posts to shelter two members of the cavalry in their full dress uniform similar to the ones at Buckingham Palace, London. In the grounds of the palace is a guard house for the body of household troops. There is also a six hole golf course, tennis courts and a lake in the far end of the grounds. The driveway, lined with cypresses and casuarinas, leads to two entrances - an entrance to the West Wing and the other to the East Wing. 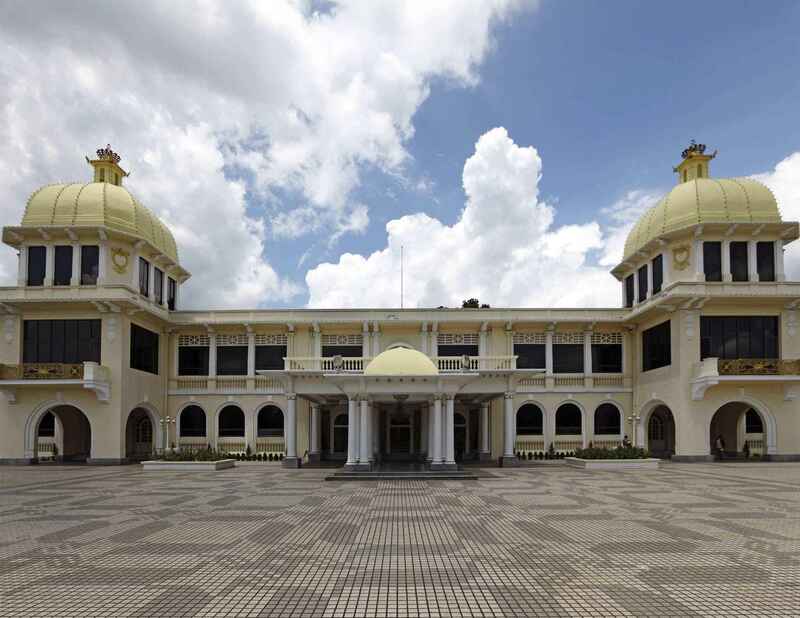 Balairong Seri is the throne room of the Yang di-Pertuan Agong. It is located in the East Wing and only used for official and customary functions. These include ceremonial occasions of taking the royal pledge, installation ceremony of a new elected King and the appointment of a new prime minister and the federal government which included investiture ceremonies and the taking of oaths by the government ministers and state governors. This is also where the presentation and acceptance of foreign diplomatic appointments are held. It sometimes serves as a banquet hall. The second hall on the first floor is the Dewan Mengadap where the King receives honoured guests such as Head of States and foreign dignitaries. This hall doubles as a resting place of Sultans and Governors during the Conference of Rulers. The other rooms are Bilik Duta, Bilik Permaisuri and Bilik Menteri. Bilik Duta is where the King grants audience to the Prime Minister and also where honoured guests are received. The Queen receives her guests at the Bilik Permaisuri while the Bilik Menteri is the rest room for guests. The Conference of Rulers is held at the Bilik Mesyuarat Raja-Raja situated in the West Wing. Istana Negara | eTips Inc.